Everyone processes sensations. Some people, like those with Sensory Processing Disorder (SPD) do it less efficiently than others. Because of SPD, their central nervous system mismanages bodily and environmental sensations, and they have difficulty responding normally to sensations that others hardly notice or simply take in stride. What is life like when sensory systems don’t work well? Daily functioning is possible, but for people who struggle to learn, participate, or feel good in their daily doings, life can be frustrating, lonely, and even painful. How does it feel when one’s behavior is misunderstood? To doctors, therapists, and other professionals, SPD can sometimes look like other conditions, such as eating disorders, anxiety, ADHD, bipolar disorder, and obsessive-compulsive disorder (OCD). Thus, SPD is frequently misdiagnosed and treated with medication or therapies that do not address the underlying sensory issues. Being deluged by these sensations is to be expected once in a while—but all day, every day? Yes, that is what SPD may feel like. SPD affects different people differently. For each category of SPD listed below, there are several sub-types, any one of which can be a challenge to living a productive life. Sensory Modulation Disorder: Difficulty regulating and organizing the degree, intensity, and nature of responses to sensory input. 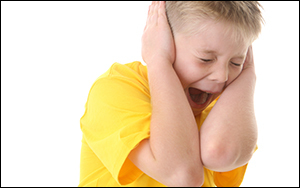 Sensory modulation disorder has three subtypes: overresponsivity, underresponsivity, and craving. Also fluctuating between being overresponsive to some sensations, such as unexpected touch, while craving or being underresponsive to other sensations, such as movement, is common. Sensory Discrimination Disorder: Causing the person who is a “sensory jumbler” to have difficulty discerning differences among sensory messages, such as how things look, sound, feel, weigh, taste, and smell. Sensory-Based Motor Disorder: Difficulty with movement resulting from inefficient sensory processing, especially in the tactile, vestibular (balance), and proprioceptive (body position) senses. This article is adapted with permission from The Out-of-Sync Child Grows Up, by Carol Stock Kranowitz; Penguin Random House, LLC, New York, NY, 2016. Kranowitz is an educator and authority on SPD, and the author of The Out-of-Sync Child.